So a lot has happened this weekend (and previous week) and therefore I feel the need to blog about it. Some of it is happy, and some of it is sad, but all of it is relevant to my life, and where I am now. I finished my five week long pledge process, and last week was my first full week as a CERES Sister! That is super exciting, and, so far, I am totally loving it!! I went to Zumba all week long with my sisters, and even worked at the State Fair on Friday with some of them. Overall, super amazing experience, and believe me...it was not easy!!! Nothing about my pledge process was easy, but as soon as I was accepted, all of the difficulty was worth it! We immediately started our Fall Retreat, and it was AMAZING! 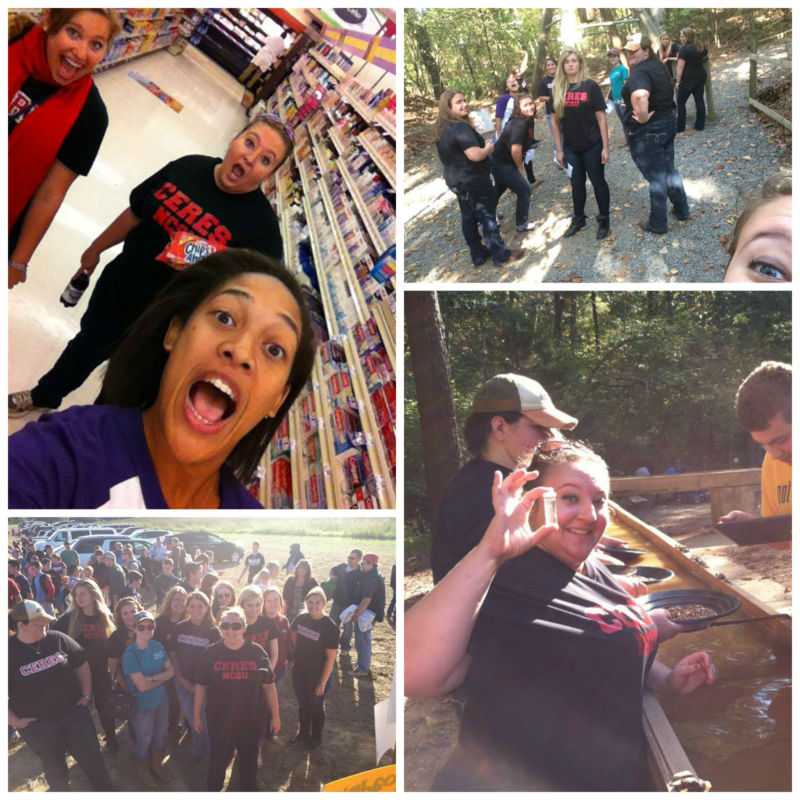 Corn mazes, and gold mining!! So much fun! Definitely something I am looking forward to enjoying!!! This leads me to my next event. I met with my advisor, I enroll in classes later on today, and I should be graduating in MAY!!! This is exciting news!! I have been a student at NC State now for seven years, and, for me, that is long enough! I am ready to not be a student anymore! I am ready for new adventures, and less homework! At the same time, this is scary y'all. This is real. I have been a student since I was six, so that is 18 years of my life in class. It will be hard to believe, and probably hard to handle! Speaking of hard to handle, Saturday was super bittersweet! I was really excited to see my brother marry the love of his life. Of his life literally! Brett started dating Kathryn when he was in the 10th grade, but they broke up for several years. Flash forward like 12 years. They try a relationship again (and believe me when I tell you Brett NEVER stopped loving Kathryn for a second) and he pops the question, she says 'yes,' they move home and forward onto Saturday! 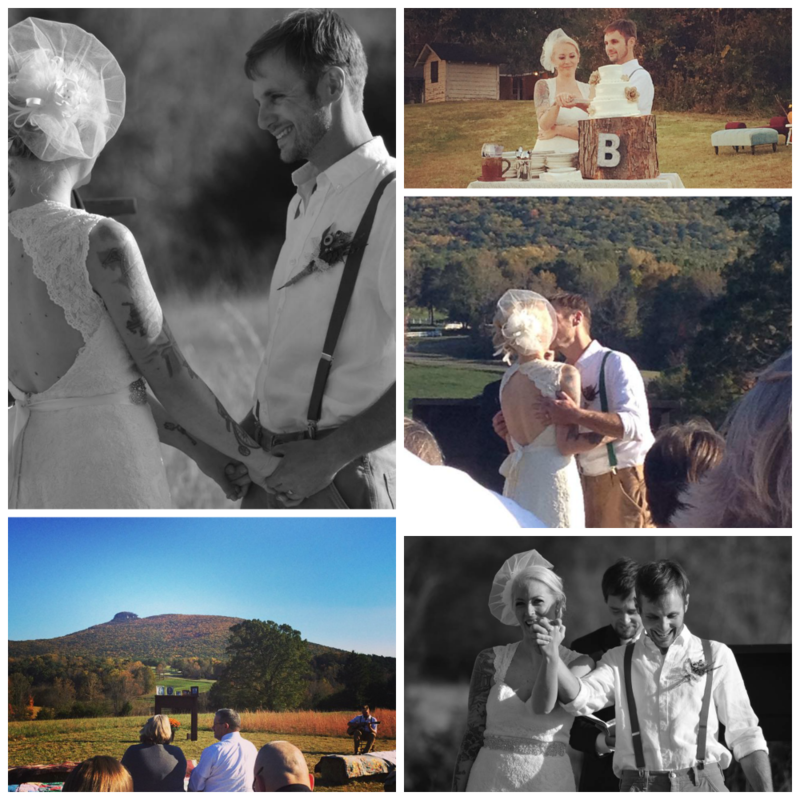 They had a BEAUTIFUL wedding, in a BEAUTIFUL location, with a BEAUTIFUL ceremony!!! Get the picture?? It was amazing and love filled, and joy filled and I am so excited for the both of them. Brett is settled, something he hasn't been in a long time, and in love and I hope they have 75+ more years of love, laughter and beautiful moments together!! The bitter part of this story? When we first moved to our house in Westfield, 20 years ago, some of our family brought us a cat. We named her Simba (Lion King kid, duh!) and within a few weeks she got pregnant. Now, as a four year old, I did not really understand how this happened, but I was super thrilled to have kittens. On Father's Day 1995, Simba went into labor under my bed, and we didn't get to go to church because Simba had her kittens!! Super excited four year old! She had five, and two were identical and the sweetest kittens out of the liter. Simba went on to run away and get hit by a car, but we kept one of the two identical kittens and gave the other to my cousins. They named their kitten Calamity, and we named ours Sassie. On Saturday morning, around 7, my Mom walked into the living room to find Sassie on the floor sprawled out, and she called me and Dad in to say "Good-bye." We petted on her, and told her she was a good girl, and to just let go. Around 7:30 she passed away, and a part of my life and childhood disappeared. 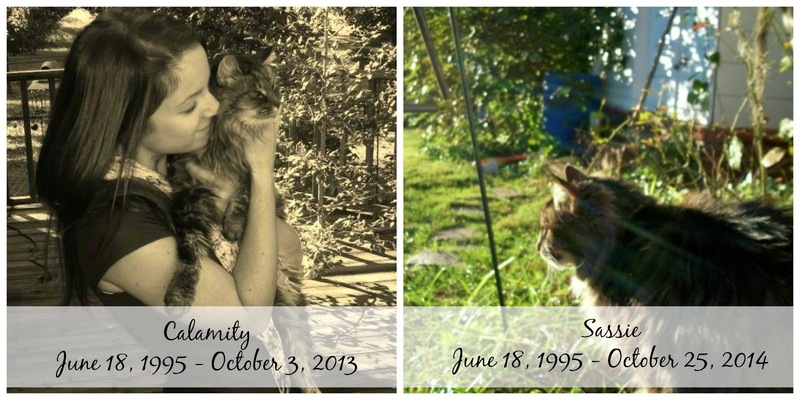 She was 19, and loud, smelly, and pretty darn crazy, but she was ours. This too shall pass. Everything that happened in the past week is changing, and one day will only be a fond memory. I might be an old soul, but things seem like they will last forever, and then change in a heartbeat. My mom's whole day is going to be reconfigured because she is not worrying about Sassie and taking care of her. Our Christmas will be different this year because instead of pictures of Sassie in the paper and Phoenix next door, Phoenix will be roaming around the house. We don't wake up to Sassie meowing for food, or to be let out, and while that is nice, it is also sad too. We got new pigs on Saturday, and the farm kept on growing and going without a quintessential piece. But that is how life is, y'all. Change is inevitable, and the ticking clock is chasing after us all. To quote one of my favorite Christmas movies: "There is never enough time to do or say all the things that we would wish. The thing is to try to do as much as you can in the time that you have. Remember Scrooge, time is short, and suddenly, you're not here any more."